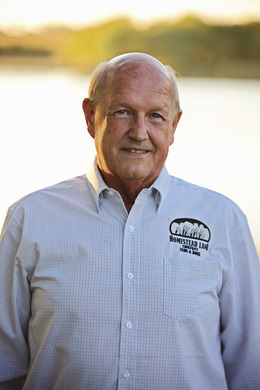 I first entered the real estate industry in 1979 as a farm manager, also being involved in sales and appraisals. In 1993, after 14 years of experience, I was involved in opening and becoming the Broker of Homestead Land Company, Inc. The business specializes in real estate appraisals, sales, farm management, and real estate auctions, providing timely and competent services to the users of this service. In 2003 I became the sole owner. As Owner and Broker of Homestead Land Company, Inc. it is my philosophy to provide users of real estate services competent, honest, and fair service, while being knowledgeable of the marketplace. I was born and raised in the Gage County, NE and Washington County, KS area. I have worked in banking, farming and real estate business in southeast Nebraska and northeast Kansas. I graduated from Hanover High School, Hanover, KS and received a BS from Kearney State College, Kearney, NE. I hold a Broker’s license in Nebraska and Kansas and a Registered Appraisers license in Nebraska.